The color has literally started to peel off of our bodies. But if I close my eyes, I can still feel the sand between my toes. And the harsh wave suddenly hitting me in the back, throwing me down in the water, giving me a good sinus rinse. Don’t worry, the water is only waist high and I do look back on this scenario with a smile on my face. Who would have thought surfing would be so very, very hard? Below you’ll find a short summary, but please let us know if you’re planning a trip to Sri Lanka and have any questions. We’d love to share our budget, more tips and thoughts about the country, simply reach out via e-mail or through social media. Early morning surf in Weligama. Plus Nine Four in Colombo. Taking the night train from Colombo to Ella is a bad idea. It’s dirt cheap, but unless you’re the heaviest sleeper on earth, you’ll be awake for 9 of the 10 hours it takes. It’s loud, you’ll wake up the the horn honking every 10 minutes or by the loud music you might end up having blasting from someone’s phone right next to you. I would recommend taking the train during the day, and split the journey up. Your bum will thank you for this. However, rolling in through the clouds as the sun rose was beautiful. Hanging out the train door, breathing in the fresh mountain air, is a wonderful experience. Ella itself isn’t that exciting, but we were quite lucky to track down the nicest homestay with the best breakfast, Country Homes. Head to Ella for spectacular nature and hiking, but have in mind it’s one of the priciest places in Sri Lanka. The sun rising at 06.05 just outside Ella. A sleepless night on the train luckily ended with a spectacular view. On our way south we stopped for two night at Banyan Camp. This place deserves it’s own picture gallery and it’s highly recommended to pay this authentic and calming place a visit for a night or two. Our first stop in the south was Hiriketiya, the beach where all roads lead to Dot’s Bay House and all you do is surf, eat, sleep, repeat. Make sure you plan in at least one extra night as you will fall in love with this place. From Hiriketiya we travelled west to the crowded surf mecca Weligama. We only stayed one night here as we felt slightly overwhelmed by the crowd and the big road, but we were so happy to be staying at Pitaya. Weligama is great for surfing and has a great food scene, but we preferred staying elsewhere and come here for day trips. Last stop before flying back was Ahangama and LUST Yoga & Surf Villa. We found Ahangama to be a great spot to have as a base, and then travel with a scooter along the coast during the day. You can also just stay here, as you have everything you need close by. Renting a scooter is a very good idea though, just remember to get a licence in Colombo, as the police will stop you. More than once. You might get away with a fine, but it gets annoying after a few times. Sri Lanka is a beautiful country and thanks to the seasons switching between the different areas, it can be visited throughout the year. We went to the south and west in the early high season, meaning the temperatures were almost always 30 degrees during the day, but some rain during the evenings. Have in mind that it’s a country where the view on western women might not be that charming. I never felt unsafe per se, but wouldn’t recommend to travel alone as a young woman. Here’s my list of things to think about when packing your bag. We try to stay away from the sun and/or wear clothes to avoid burning. But we also use the Sun Shield Oil from Haro Care. This, and the F#ck Off Mosquito, is always good to bring. (Sponsored) For the trip we were gifted the Ayurvedic No. 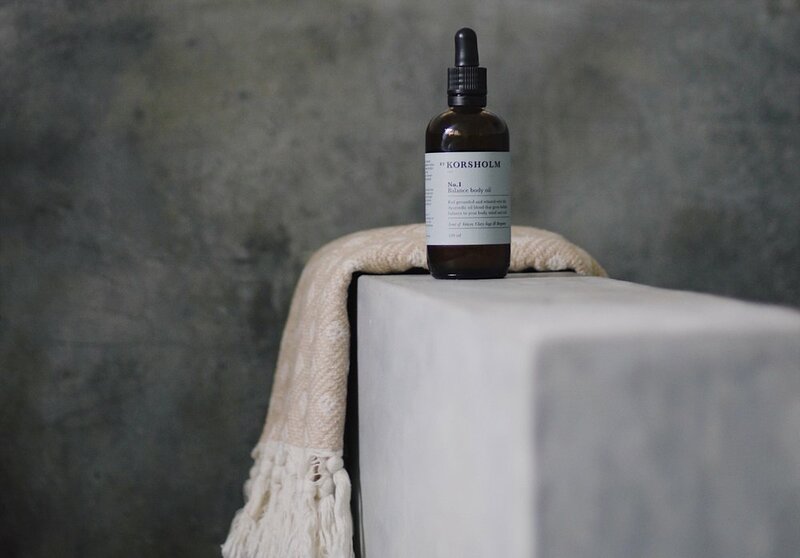 1 Balance Body Oil from By Korsholm. I must admit we used it a lot. Not only on our bodies after we’ve showered, but also in our hair, to keep it moist from all the salt water. It’s quite funny how good we are at moisturizing when on holiday, I honestly wish I was as good here at home. You will want to bring a good brush to scrub your dirty fingernails. Please, please, please keep your consumption of plastic water bottles to a minimum. Bring a good water bottle instead, and ask to have it refilled at your hotel, restaurant or café. Many places offer to fill your bottle with filtered water for a very small amount or even for free. (Sponsored) The No 1 Balance Body oil from By Korsholm.